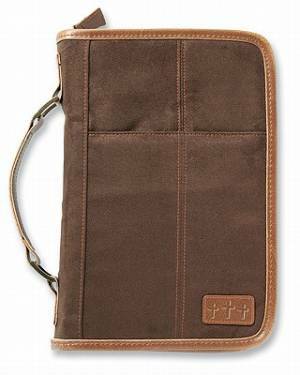 An aviator style brown suede, extra large bible cover. The Bible cover features a spine handle, contrasting tan stitching and interior pen and pencil holders. Aviator Brown Suede Extra Large by Zondervan Publishing was published by Zondervan in September 2010 and is our 12440th best seller. The ISBN for Aviator Brown Suede Extra Large is 9780310823872. Be the first to review Aviator Brown Suede Extra Large! Got a question? No problem! Just click here to ask us about Aviator Brown Suede Extra Large.